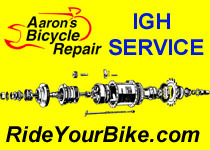 Hello Internal Gear Hub Community! My name is Eliot and I’m delighted to be here helping with the continued growth of Hubstripping. Big thank you to Marco for all that he has built here and best of luck to him in his new venture! I look forward to being a part of the great community here! P.S. I’ve added a contact form here if you’d like to get in touch about new article ideas (e.g. would be happy to post your content and/or photos) or about the site in general. Hello, I’m looking forward to the Alfine 11 being available and reviewed. I noticed there were some early service docs for it at the link below. And we’ll be updating it and adding new posts when the Alfine 11 finally launches. im trading my nexus inter 7 s40 roller brake for sturney archer 8 speed.anyone? Coming up on a year here. Congratulations! I hope the site is working for you.